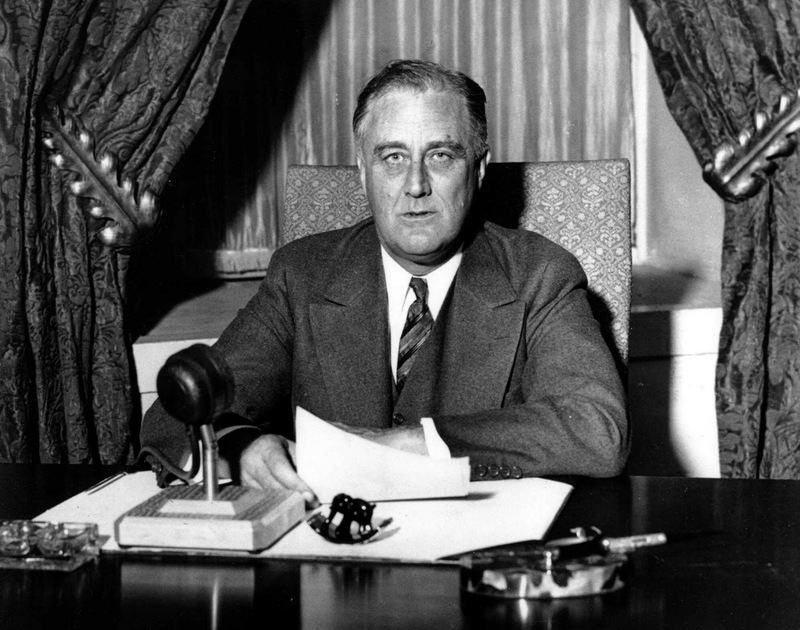 Yesterday's Person-of-Mystery was none other than a young Franklin Delano Roosevelt. Did you think it was a girl in the photo? 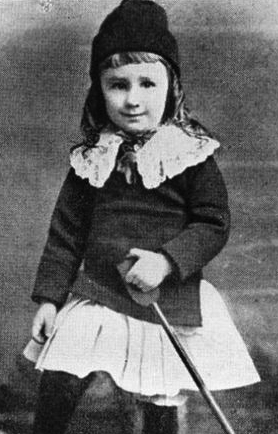 Young Franklin was dressed in Little Lord Fauntleroy fashion so prevalent at the time. I figured the one of him on the donkey was too ironic to pass up (the donkey being the symbol of the Democratic Party). 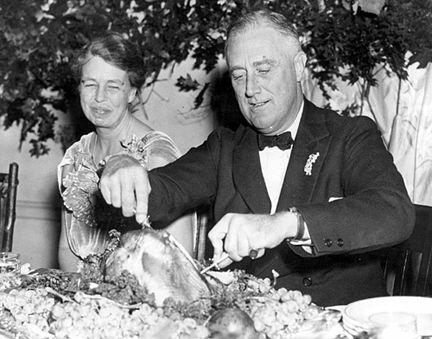 So, what's FDR's connection to Thanksgiving you ask? From the time of Abraham Lincoln to FDR, Thanksgiving was always celebrated on the last Thursday in November. Most of the time, November has four Thursdays, but occasionally it has five. 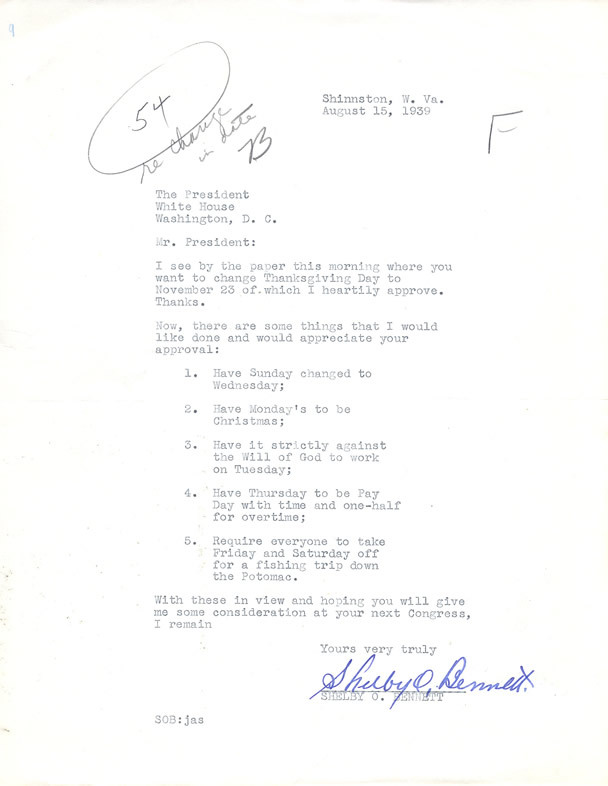 1939 was one of those five Thursday years meaning that Thanksgiving fell later than usual, so Franklin Roosevelt, who was not one to follow pesky tradition, decided that he would by presidential proclamation move Thanksgiving a week earlier so businesses would have more shopping days until Christmas. Unfortunately, he really didn't think through the potential unintended consequences of this action. Many people were irate. 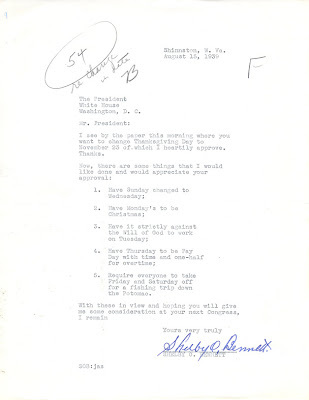 Thousands of letters immediately arrived at the White House, most of them indignant. Smaller businesses were hurt because people now had time to wait and shop at larger retailers. Schools had already scheduled breaks that now wouldn't align with the holiday. Printers had already published calendars and now their goods were obsolete. Football teams had planned games and now had to figure out whether to switch - some did and some didn't. About half the states outright rejected the switch and chose to celebrate on the fifth Thursday. This created problems for families living across state lines. In some places people had November 23 off and in states right next door people had November 30 off, so some families couldn't be together. Republicans were as a group upset, having fought him over things like packing the Supreme Court, they saw this as another example of executive impertinence. Republicans out of principle continued to celebrate the last Thursday, so the net result was that you had one Thanksgiving for Democrats (some people called this Franksgiving) and another for Republicans. 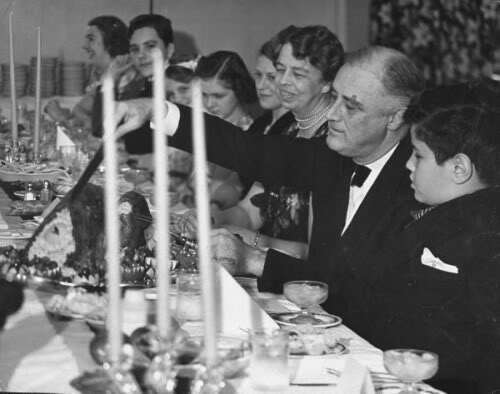 1940 and 1941 saw Roosevelt declaring the second to last Thursday as Thanksgiving, making it those the only years that some celebrated on the third Thursday with about half the country continuing to celebrate the traditional "Republican Thanksgiving." Some states like Texas and Colorado actually declared both Thursdays to be state holidays in these years. 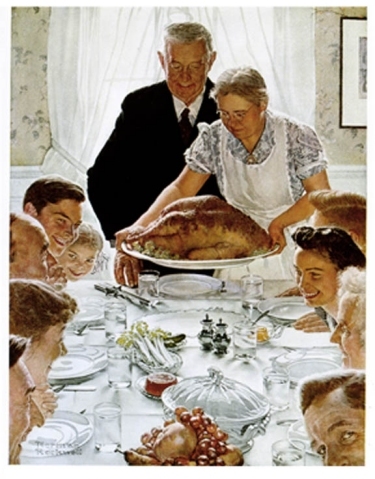 In October of 1941, the House of Representatives passed a bill officially fixing the date of Thanksgiving as the final Thursday in November, but the Senate version offered a compromise fourth Thursday as the national date. The compromise was agreed to and today all Americans, Republicans and Democrats, celebrate the fourth Thursday (even if some years there is a fifth Thursday). Yes I thought it was a girl (grrr). Nice letter! I delight in the way you always give us an interesting history lesson with your POM. You go the extra mile & don't just drop us after the Grand Reveal. Thanks. It's appreciated. I just paid attention to your "Live Traffic Feed" - or was it there before? Interesting. We are traveling around & see the different towns. Anyway, just dropped in to say thanks for the comment on my blog about Ebenezer. Yes, Dickens ruined the name. I don't use my 'google account' to sign in anymore because I don't like having to use my password. So that's who we have to 'thank' for beginning the moving up of Christmas shopping sales earlier and earlier each year. Generally I don’t read article on blogs, but I would like to say that this write-up very compelled me to take a look at and do so! Your writing style has been amazed me. Packers & Movers (P) LTD.
Best Movers and Packers @ BANDRA WEST!!!!!! Hello Everyone, I used Agarwal Packers and Movers services last month and I must say they are very good packers and movers. But When I check their Customer Reviews, Feedback, and Complaints in Gile Shikwe and Phark Padta Hai websites some people have complaints about Agarwal Packers and Movers services. But that was a not big issue.